Catering can be a task we could sometimes do without, taking up time with difficult seating, making sure food is ready with a great taste to boot, these are the problems we can help you with, so if you have a special event coming up don’t let food be an issue. 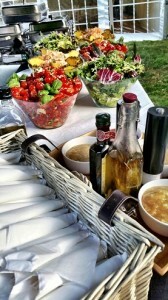 You must be bored of the same old catering that is offered today? Then ponder no more because Hog Roast Skegness is the answer to those catering problems with a hassle free state of the art Hog Roast Machine. Get rid of hitches and let us take the pressure off you so you are able to enjoy your day with great food at great prices. 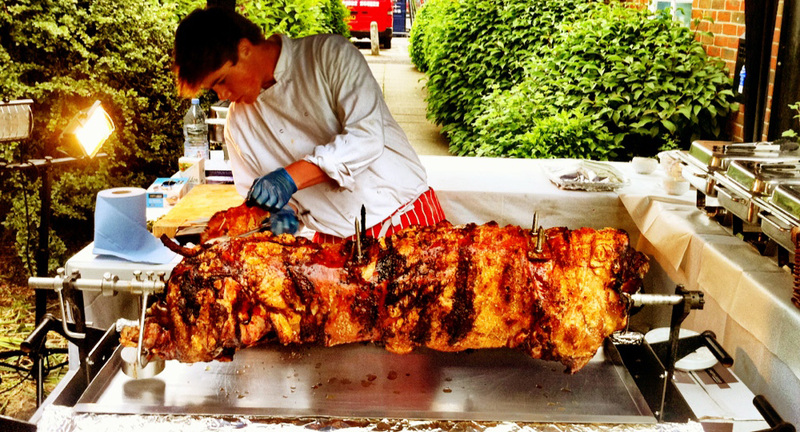 Hog roast Skegness is the number one hog roast company in the area of Lincoln, we do the food for you and deliver a service that is professional, friendly and above all irritation free. We will be responsible for your selection of the finest quality livestock available giving you a different choice compared to what typical catering services would offer. Hog roasting is a delightful form of cookery and it has really been around for as long as people recall with your choice of meat slowly roasted to precision with the meat so juicy it will simply drop from the bone; our produce is some of the best you will have ever tried so get booking this instance. We provide the same standard of first class service to every one of our customers and events regardless of size, from a family BBQ to larger events, weddings and parties. We provide you with the knowledge and know-how to ensure your guests get a banquet they will not forget. We guarantee you will come back again and again to our company once you have tried this problem free, cost effective, modest but above all quality style of historical cooking, we really are that convinced and so we should be with our range of meats, our friendly staff and top notch machines there to give your day the food it deserves. Hog roast Hire Skegness gives you the chance to host a function with less stress and less cost. We turn up with our specialised equipment on the day on time with our experts on hand, we will put the machine where you want it then all you do is flavour the meats just how you like and let the roaster work its magic. Hog Roast Hire Skegness provides the quality meats for you or if you can supply your own meats at your own discretion, the choice is yours, whatever helps your day run smoothly. All our meats are locally sourced from the best farmers available we love to get our produce from local farmers making sure you receive the freshest produce in the best condition. We can also offer you a choice of alternate produce to pork with the finest Lambs in Lincoln being a popular choice of produce from our many satisfied customers with white meat selections also offered with Chicken and Turkey being strong favourites for the smaller more intimate function, this takes us back to the size of event, if a pig is too much for your event poultry could be the choice for you, the hog roasters we use really are so dependable from small to large meats, the hog roasters cook the produce of choice to perfection. Our team is the best in the business and we will help make your day no matter the occasion one to remember. If you are going to hire your own hog roast equipment ask our team any questions you have about hog roasting, our staff are there to help you and answer any questions you have, we know we can give you with the self-confidence to try hog roasting yourself. Location doesn’t hinder us either with our hog roasters being the very latest in hog roast equipment, we can operate the roasters outdoors but can also go indoors, it doesn’t matter what the size of your venue is as our hog roasters can fit in to the smallest of areas making sure your special event goes by without a hitch. All our statements here are true and not just a boast, but we guess the only way to find out is by ordering a hog roaster yourself today. Let us do the hard work for you, we will ensure your special event has the best tasting food you have ever consumed full stop.